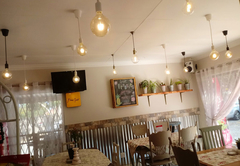 Clifton Cafe is one of the Centurion guest houses and provides accommodation in 2 guest rooms for tourists visiting the Northern Gauteng region. 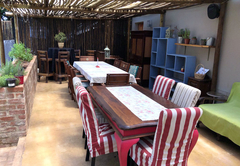 Situated in Lyttleton Manor, Centurion, Clifton Cafe is offers quality accommodation and is ideally suited for a business traveller or family visitor. 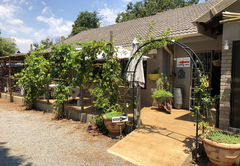 It is situated in a residential area and is within walking distance of numerous shops, restaurants and other amenities. 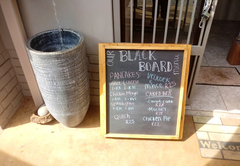 There is a restaurant on site, braai area, Wi-fi and secure parking. 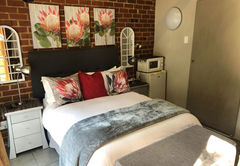 The room comprises a double bed and an en-suite bathroom fitted with a shower, toilet, and basin. Linen and towels are supplied for guests' convenience. This beautiful room comprises a double bed with private en - suite bathroom fitted with shower , bath toilet and basin . 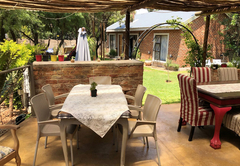 Linen and towels are supplied for guests convenience. The room is directly connected to the main house with its own entrance. Response timeClifton Cafe typically responds to requests in 5-10 minutes.